My mother-in-law bought me a donut pan for Christmas this year. As soon as I got home I couldn’t wait to start experimenting with clean donut recipes. Since I had a can of pumpkin in the cupboard, I decided to try a pumpkin donut recipe. These turned out better than I expected and are delicious!! I am sure these will satisfy your donut cravings! These taste amazing warm right out of the oven or microwaved for 10 seconds. 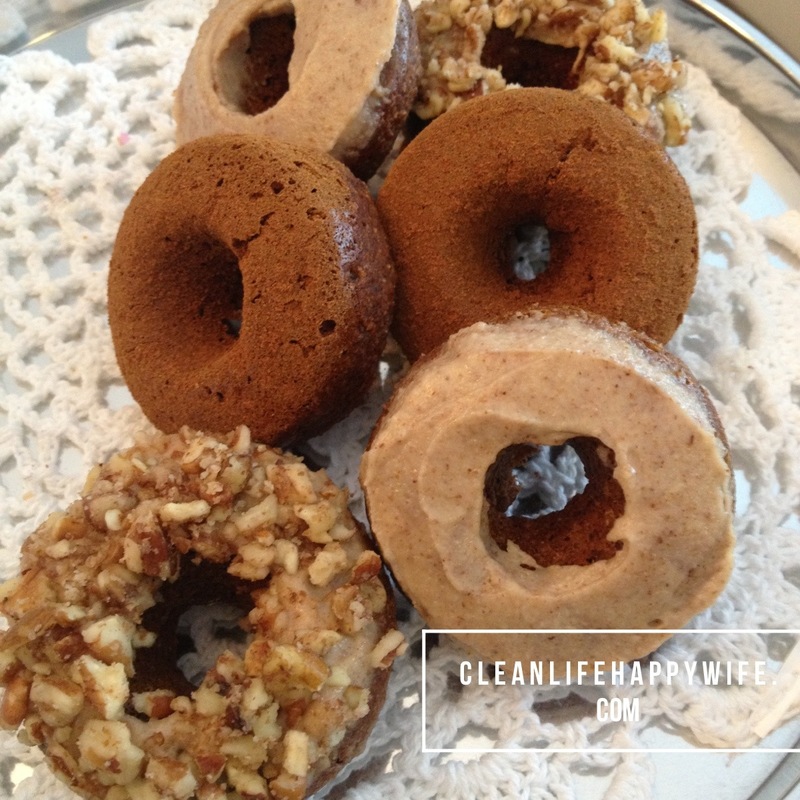 These donuts are sugar free, dairy free and can be made gluten free! Enjoy! Blend all ingredients together on high in a blender until smooth.